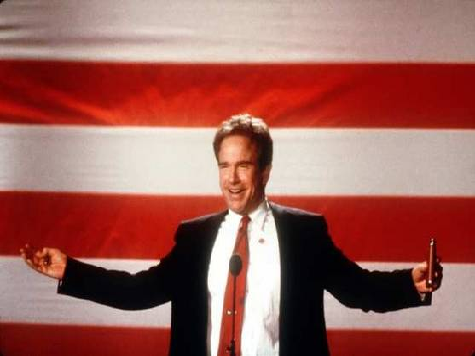 Do you remember the movie “Bullworth?” Warren Beatty was a candidate for U.S. Senate who had a big problem. He told the raw, unvarnished truth. The media was shocked and horrified. Voters were befuddled and angry – at first. Can you even imagine the nerve of a politician talking honestly to the voters? Blasphemy! But guess what? Against all odds, Bullworth proved the media…the critics…the naysayers…the doubters…wrong. He caught fire. He attracted huge crowds. The people fell in love with a politician who told the truth, no matter whom it offended. The media was befuddled. It took a little time, but once voters realized the truth was…the truth…they started to like hearing it. They realized that sometimes mom and dad have to tell you to stop eating chocolate and candy. You may not like hearing the truth, but it’s always best for you. Don’t look now, but a real-life media vs. Bullworth is developing. The biased liberal mainstream media is in a frenzy, frothing at the mouth like never before in modern political history, because Mitt told the truth. They’ll do anything to save Obama and stop Mitt from telling the truth. They’ll make the truth look mean or racist or close-minded. They’ll try to frighten you. They’ll tell you that you can’t survive without government. The media will also cover-up for Obama. They’ll ignore the Obama tape in which he admits to supporting income redistribution (aka “socialism” for those unfamiliar with the definition). They’ll ignore that Obama was on “Letterman” and didn’t know the amount of the national debt. They’ll refuse to question Obama about the “Fast & Furious” scandal that led to 300 deaths and the resignation of Obama officials. They’ll refuse to ask Obama why he knew about a possible attack on the U.S. Embassy in Libya three days beforehand, but did nothing. They’ll ignore that Obama is either lying or completely incompetent about why the attack happened in the first place. The truth is something the mainstream media won’t touch. Don’t get defensive. Don’t apologize. We see where appeasement and apology got Obama in the Middle East. People smell weakness, and they attack. Mitt, you must take the offense. Tell the truth and take no prisoners. Like Bullworth, voters will love it and support you…once they get over the initial shock at being treated like adults. Let the media scream and berate you, call you names, and warn of impending doom in your campaign. Good. Go with it! Let’s see more of it. Drive them crazy with the truth. Confound the political experts. Mitt, you can be a hero…a Ronald Reagan for 2012. Tell the truth. Let the politics of lying be damned. The truth is, most Americans hate the elite media snobs and their politically correct views. We hate the politics of Hollywood too. We may go to George Clooney, Alec Baldwin, or Natalie Portman movies, but we know they were one lucky break away from pumping gas or waiting tables. We don’t buy movie tickets to hear their ignorant political views. So, let the media and Hollywood mock you. You’re onto something here. Keep telling the truth! Keep explaining to Americans that debt kills economies. Keep explaining that we are broke, that Obama is burying our children and grandchildren under mountains of debt. Explain that debt has destroyed Europe and that we are on the same path of economic destruction as Greece, Italy, and Spain. Explain that while Bush added $3 trillion to the debt in eight years, Obama has added $5 trillion in only 3 1/2, but admitted on national TV he doesn’t know the debt figures. Keep explaining that many of the 47% getting government checks are victims. But it isn’t their fault. It’s the drug dealer that needs to be punished, not the drug user. Obama and the Democrat Party have hooked tens of millions of Americans on big government. Explain how the dealer desperately needs to addict his customers, to keep them dependent on him. Keep pointing out that Obama and the elite media have contempt for the poor, and see them only as addicts who will keep voting them into power. Mitt, embrace the truth. The truth is: Obama needs to keep voters hooked on government programs and checks. It’s the only way he can be re-elected. But, deep down, addicts want to get off the drugs. It’s time to tell those dependent on government that you offer rehab. You want to set them free. By growing the economy and paying down the debt, you will create jobs and give them back their dignity. Don’t apologize for your comments; stick it in their face. America has become a nation addicted to government…a nation of victims. They need a courageous hero to tell them the unvarnished truth and lead them to rehab. Mitt, be a truth teller. Jerusalem IS the capital of Israel. The Israeli people ARE remarkable. The Palestinians DON’T really want peace. And Obama’s appeasement and apologies have led to a Middle East in flames, run by extremists who want to kill us. Yes, you outraged the media when you told these truths…but the American people know this is the truth, and respect you for saying so. Here’s the biggest truth to hammer home from now until Nov 6th. Obama tells lies. He can’t help himself, he’s a lawyer. His only talent is the ability to talk fancy. You know, the kind of lawyer who got O.J. Simpson off for murder. Lawyers tell you what you want to hear. They evade the truth. Obama has proven for 3 ½ years that fancy talk is a failure and a fraud. What America needs is a can-do businessman and turnaround specialist…Someone who has a resume of accomplishment in the business world…Someone who has actually done something, built something…Someone who has recued failing companies…NOT a fancy talking lawyer. Mitt, tell us the unvarnished truth. No sugar coating. Americans are ready to hear the truth. Don’t apologize or moderate. Run towards the fire. Remember Mitt, YOU ARE BULLWORTH AND THE TRUTH WILL SET US ALL FREE!